getting started is often half the battle. Use these three ideas to get started on your paper backlog today. Start with your newest papers first. The most effective approach to dealing with backlog is to avoid creating more of it! So make it your top priority to stay on top of the new paper coming into your home. Your newest paper likely contains relevant action items that you need to take care of (like bills to pay or phone calls to make), so handling this paper will give you the peace of mind that comes from knowing you’re taking care of important tasks. Do a high-level sort. Often it’s the details that make organizing paper so difficult. ‘Should I file this under car, under auto, or under Audi?’ Avoid stalling out before you begin by categorizing paper at a high level initially. We like using the categories ‘action’, for items like bills that require an action on your part, ‘reference’, for papers like take-out menus or schedules that you refer to often, and ‘archive’, for semi-permanent and permanent records such as tax returns and birth certificates. Beginning with a high-level sort allows you to make speedy progress, and it will help you uncover important action items that may be hiding in the piles. Keep your sorting sessions sort. Don’t try to tackle your entire backlog in a single session. Instead, grab a timer and sort paper for 15 minutes at a time. Turn your paper sorting into a game by seeing how many inches you can cut off the pike before your timer dings. Paper can be overwhelming! If you want to learn how to create effective systems for the paper in your home, which means you’ll say goodbye to paper piles and be able to get your hands on a piece of paper whenever you need it, call us today to book your free consultation. 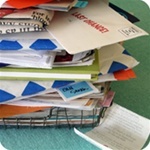 Put an end to paper clutter and the stress that comes with it! When organizing your closet, or flipping it over from winter clothes to spring (soon! ), act as though you’re packing a suitcase for a long trip. Consider the things you’ll do throughout the season ahead, and decide which outfits you’d wear for those activities. Remember, you wouldn’t fill your suitcase with items that don’t fit, so remove those items from your closet. It will be easier to get dressed every day when your closet is filled with clothes that fit both your body and your lifestyle. Do you have a closet full of clothes but nothing to wear? Not sure your wardrobe is saying what it should about you? We can help you organize your closet and your wardrobe so it’s easy to get dressed each and every day! With the addition of Image Consultant Neal Pedder to our Organizing Lives Team, we’ve got you covered! Weekly Quick Tips – Keep it or Toss it? Whether you’re decluttering an entire room, a closet, or just a drawer, you’ll face the inevitable question ‘should I keep it, or should I toss it’ over, and over (and over!) again. Here’s some perspective from the pros (that’s us!) on helping you decide. You have twice as many as you need. Take inventory of your duplicate items. If you own enough spatulas and coffee mugs to open a small diner, it’s time to shed a few. Your gut says to lose it. Don’t second guess your instincts. A lot of people worry they’ll have regrets, that ‘one day they’ll need that exact thing.’ We can tell you that 99% of the time, you won’t. It’s not worth repairing. Search for similar items on Ebay; if your item’s current value is less than the cost of repairing it (hello broken printer from 2004…. ), then toss it and replace it. Otherwise, give yourself a deadline. If you don’t get around to fixing it within 3 months, you can probably let go of it. It’s sentimental ‘gold’. The more memorabilia you have, the less emotionally valuable each individual item becomes. Instead of keeping every card that your now deceased aunt ever sent you, pick the one that captures her spirit the best. You’ll find a place for it. Putting it back in a box is just predisposal. Any item worth keeping is worth creating a space for. In celebration of spring’s imminent arrival, why not help to bring that wonderful fresh feeling of renewal into your home and office by clearing out some clutter with a bit of spring organizing? Here are a few ideas to get you started. Purging Paper – Since spring brings with it not only longer days and warmer weather but also tax returns, it’s a good time to sort through your files and records. If you don’t already have a system for archiving papers you need to keep, take the time to set one up. It can be as simple as a bankers box stored in a closet, or as involved as a separate file cabinet. Whatever system you choose, be sure it’s easy to add to and access as needed. 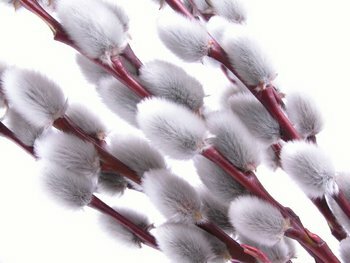 Spring is also the perfect time to lighten your paper load in other areas: go though those piles of magazines you haven’t read, newspapers that have accumulated on your desk, and any other mail or media that have gathered and be as ruthless as possible about tossing what your don’t need. 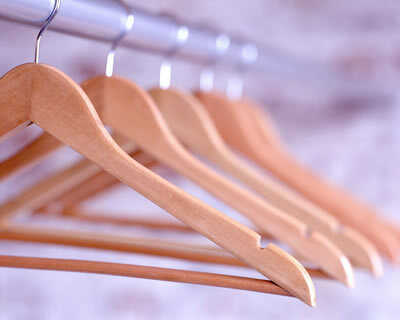 Clearing out Clothes and Shoes – One of the best parts of spring is the chance to stash your heavy winter clothes and take your lighter garments out of storage. This year as you do the swap, take the time to do some sorting and purging. Rather than folding up that oversize sweater or those ski pants you didn’t wear once over the winter and putting them away, consider donating them; if you didn’t reach for them this season, chances are they won’t ever be an integral part of your winter wardrobe. De-Clutter Your Living Space – Get into the lighter airier mood of spring by clearing out any areas of clutter that are bringing you down. Think about doing a ‘stuff’ audit throughout your house by taking a long, hard, realistic look at the things you have and ask yourself whether they’re truly useful, whether they make you truly happy or whether you truly need them. If they don’t pass any three of those tests, it may be time to let them go. The end result will be a light and airy home full of only things that are meaningful and useful. Decluttering isn’t about getting rid of stuff for the sake of it. It’s about letting things go so you have more space, time, order, and joy. Keep this thought in mind next time you declutter. What are your underlying reasons for decluttering? What are you creating space for? When you focus on the end result ~ more space, more time, more order and more joy ~ it’s so much easier to let things go. And it’s easier to feel good about the things you decide to keep. Keep cleaning wipes and paper towels in the car for easy cleanup for sticky fingers, spills or to wipe your hands after a visit to the pump. Place one or two plastic bags in your car to collect trash. 3. Use over-the-seat organizers to keep children’s toys, media items, cords, maps, umbrellas, gloves and other essentials at hand. Use milk crates, boxes or cargo organizers to keep your trunks’ contents organized. 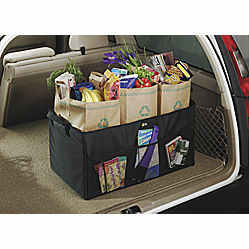 These work especially well to keep bags of groceries from tipping over. Add organizing and washing your car to your house cleaning routine. Once a month, have an appointment to organize the car. Instead of allowing a few emergency items to roll around in your trunk, organize the space by making a roadside emergency kit. Even if you have purchased one, read on, as we have added important items that will not come with pre-made emergency bags. Put the following items in a duffel bag: spare warm clothing; battery-powered radio and extra batteries; flashlight and extra batteries; blanket; booster cables; fire extinguisher, first-aid kit, bottled water, nonperishable high-energy food items such as granola bars, raisins and peanut butter; shovel; tire repair kit and pump; and flares.With all of these items in one spot, you’ll be able to find exactly what you need in the event of an emergency. If your glove compartment is home to fast food ketchup packets, service receipts, and expired insurance slips, restock it with the following: registration and proof of insurance, owner’s manual, small flashlight, Swiss Army knife, tire pressure gauge, cell phone charger, emergency contact (insurance agent, tow service), pen and notebook. Also, put items for a small first-aid kit in your glove box so you can find what you need when you need it! Make a new household rule that ALL family members are responsible for removing what they bring into the car. Our favourite organizing principle of ‘bring something in, take something out’ holds true in your car as well. If you bring in a new DVD (or three…. ), sort through what’s already there and find others to swap them for. You might try ‘junk jail’ for anything children leave behind. Even small children will get into the habit of removing their things from the car if there is a penalty attached. Toss a handful of canvas shopping bags into the car so that even if you leave the house without them, you’ll have some handy. A clutter-free car makes every trip more pleasant, whether it’s to the daily carpool or across the country! Organizational and big box retailers, as well as automotive accessory stores sell a wide variety of containers and organizers such as netting, dividers, collapsible cargo totes, visor CD holders, backseat organizers and more to help keep things in order.